*Unless, however, you would like some love in the form of two friendly, furry, wiggly beasts who would love nothing more than to shower you with slobbery kisses. In that case, I hope the presence of Griffin and Little Bear on the AT will do nothing but enhance your experience in the woods. 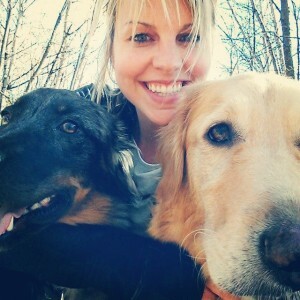 First, as hiking partners, I can say that my dogs fit the mark phenomenally. 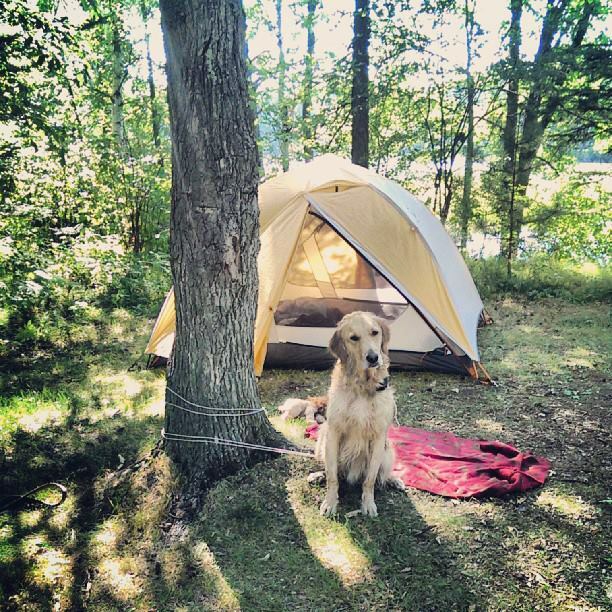 Hiking and camping are not for all dogs and this is something to be considered whether taking your pup out for a weekend, a week, or a long-term adventure. 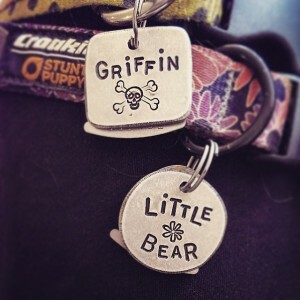 Each breed is different as well as each dog within the breed so be aware of this when planning to include your dog on outdoor adventures or adventures of any kind. Putting a pack on my golden puts him in the mindset that it’s time to work and I love seeing him this way. 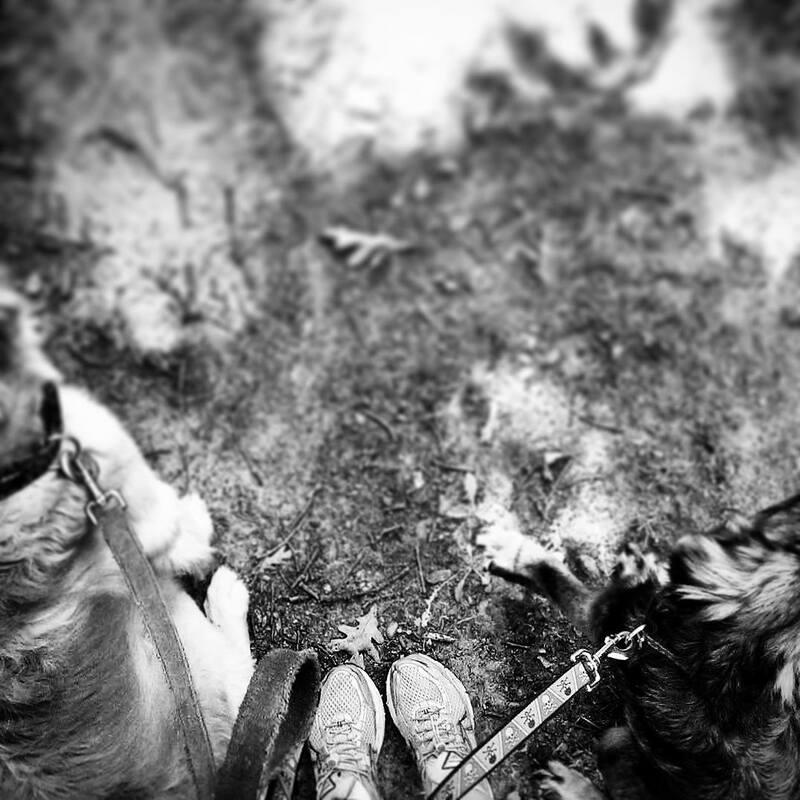 Hiking is a great way to exercise the mind and body of a dog who needs a job, and all three of us love the experience of being in the woods. Win-win. As companions and as protectors, I find my dogs to be the ultimate hiking partners. As a woman out in the woods alone I feel comfortable and confident, but I do like the security in having my four legged friends along. And on those cool spring nights I’m willing to bet sleeping close to their furry bodies will help keep my body temp up! Definite bonus. Also, they don’t care about hiker stink. In fact, they probably love me more for it. This has been a rather complicated task, but one that is so incredibly important. As if figuring out my own mail drops wasn’t complicated enough, I’ve found myself needing regular shipments to avoid switching dog foods and messing with up the dog’s digestion. I have had some generously donated food items, which has helped tremendously with the costs involved in this. In terms of basic food consumption, there are many options. 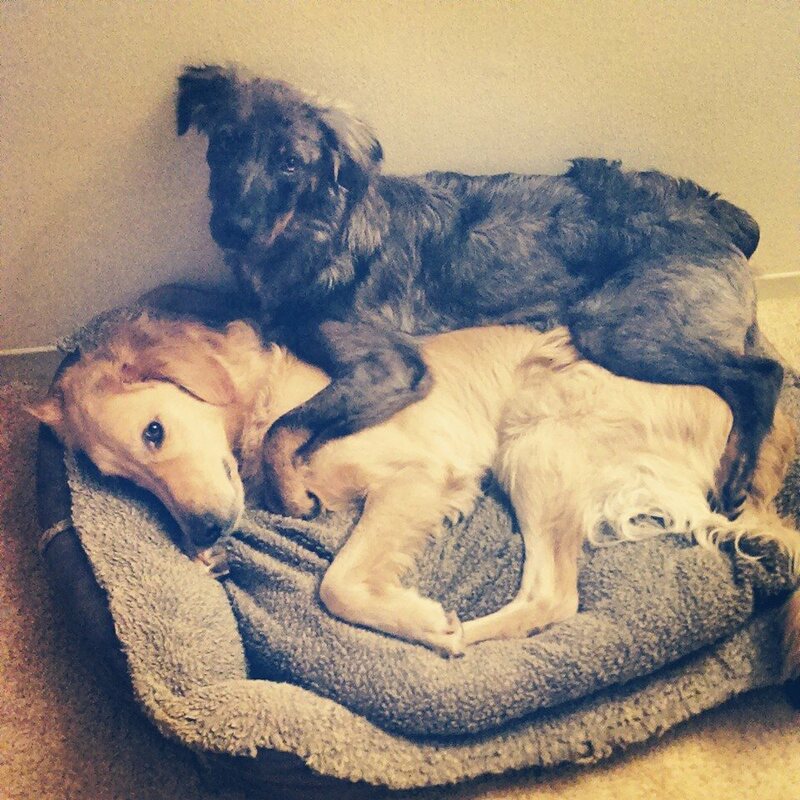 I’m sticking with a grain-free kibble, Taste of the Wild, because my dogs do great on this food. In normal day-to-day life this may be enough for our dogs, with supplemental treats here and there. However, just as our own nutritional demands will be changing, so will theirs. They will also be burning a zillion calories day after day. I’ll have to be prepared to adjust their diet on the trail, increasing the amount of intake and also finding nutritionally packed options to add in. I’ll also be checking in with vet clinics along the way to monitor their weight and overall health and wellbeing. 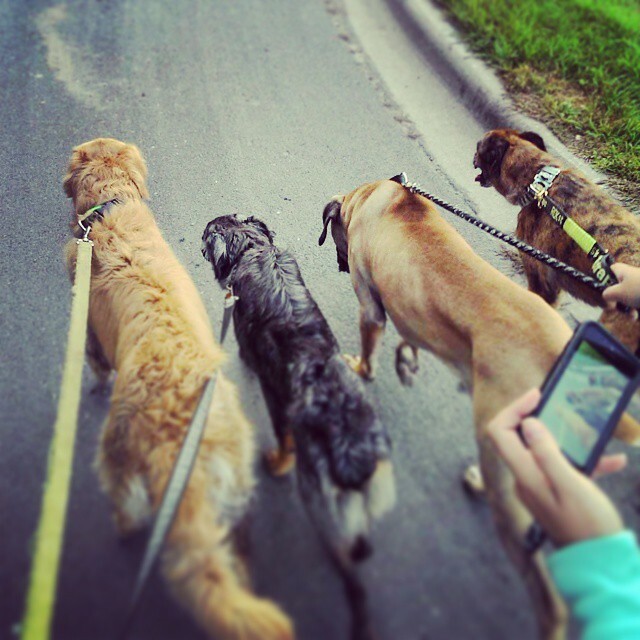 *Yaffbars – doggie energy bars – great midday snack just like it would be for us! What makes them kind of awesome is that they are also made for people. A little weird you might think, but mostly just really awesome. I’ll try not to eat them all. *Homemade dog treats & energy bars – because I have awesome friends I am in the process of creating a homemade energy bar for the pups as well. Adding in extra calories to keep the dog’s energy up is going to be crucial for this type of endeavor. With access to resupply locations I may add in extras they love such as hotdogs, cheese, canned pumpkin, yogurt, etc. while we’re in towns. There are also options for freeze dried treats, as well as freeze dried foods. The downside with the convenience of freeze-dried meals for dogs, as with people, is the added expense. For my dogs they also don’t tend to absorb those meals as well, which isn’t great for them in keeping weight on, so it’s just not an option for us. All dogs are different so if cost is not a consideration this may be something you want to try out or ask your vet about! This may sound basic but it’s going to be very important out on the trail. Our dogs can’t tell us when they’re feeling thirsty so offering water frequently is so important, especially as the temperatures start rising. Both of my dogs will be carrying some water, which helps with weight distribution between the three of us. Also be aware of water sources. There may be places the dogs can jump in to cool off which helps immensely on those really hot days, but in doing so be aware of the quality of water as your dog would likely be consuming some of it, as well as whether or not other hikers will be using this space as a water source. Chances are if someone will need to be using this as drinking water they don’t want your dog running through. A dog’s body temp runs a little higher than ours, and it can rise pretty rapidly. Be aware of their signs, watch for excessive panting, fatigue, and allow for adequate breaks. Hiking longer distances earlier in the morning and later in the afternoon & evening can help. Ruffwear makes a cooling vest that can also help to regulate temperature. Even a wet bandana or pouring water on the back of their necks between the shoulder blades can be helpful. 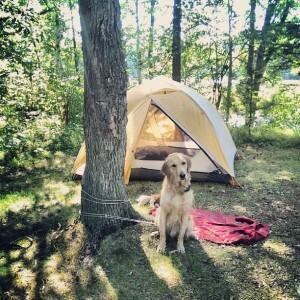 I have been backpacking in high temps with my golden in the past and had to take off his pack and add the weight to mine. Bringing a dog along backpacking is awesome, but you also should be prepared to put their needs before your own. On the opposite side, thinking about keeping your dog’s temperature high enough in cold weather is equally as important. My dogs both have an undercoat of fur that keeps them from needing additional layers in most cold weather conditions when they are active, but if you have a dog with a shorter coat, or if you will be experiencing extreme cold, an extra layer is something to consider. I do have amazing warm jackets for my dogs to sleep in, as nighttime is a different story. Their jackets are made by Hurtta, a company with an amazing assortment of high quality outdoor gear for dogs, and amazing customer service. We will also be carrying an additional sleeping pad, at least during the cooler months, to keep their bodies off of the ground at night. This is a matter of personal preference that should take into consideration what you and your dog are comfortable with, what you’re dealing with in terms of weather and bugs, and also the level of training your dog has. I personally prefer my dogs inside of a tent with me at all times. This gives me confidence in my safety and theirs. It keeps them free of the elements, mosquitos, nighttime visitors, and I never have to worry about them wandering off. 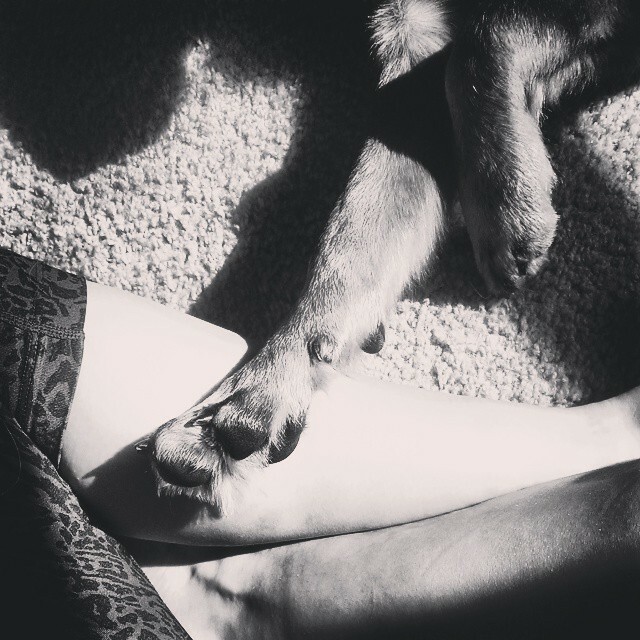 First and foremost, taking care of your dog’s feet while backpacking is about as important as taking care of your own. Having foot protection, such as booties, will be necessary for more extreme conditions (cold, snow & ice or hot surfaces) as well as more technical and rocky parts of the trail. It can also be very important to use boot socks or liners for our dogs in the same way we would for ourselves. In addition to using booties, we will also be using an amazing product called Musher’s Secret throughout the entire journey. Musher’s secret is a waxy coating that you rub over your dog’s pads that help to protect them from the elements, and in our case will hopefully prevent injury from so much time on their feet. Have to keep those paws healthy! In addition to paws, routine tick checks will also be necessary as well as being prepared to deal with cleaning and caring for wounds. Being in close communication with a vet that you know and trust will be helpful throughout a longer trip as well as being aware of where you may be able to seek care for your dog if or when you would need it. *I will also be attending a FREE (for members) class at REI called, First Aid for Dogs on the Trail! Talk about awesome – be aware of events like this or look into attending a First Aid & CPR for Dogs course in your area. 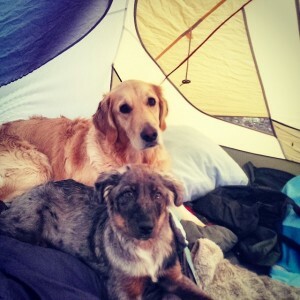 Having the option and ability to bring our dogs along on adventures such as hiking, camping & backpacking is a privilege that should not be abused. When on these type of excursions where we are encountering other people, dogs and animals, we must put others ahead of our own desire to let our dogs freely roam. This is obviously a personal choice (in situations where laws/regulations don’t strictly enforce one way or another), but take into consideration many things when deciding whether or not to leash your dog. Not all people love dogs. Not all dogs love other dogs (my dogs are very social but if an unknown dog charged up to them unleashed they may act on the defensive) – We need to be respectful of other dogs out on the trail as well. They may be in a situation with an animal they’ve never encountered (bear, wolf, coyote, porcupine, rattlesnake, skunk). For their own safety (and many other reasons) you should be able to maintain control of your dog 100% of the time – I know very few dogs with a recall that is reliable 100% of the time. I imagine that being on a long distance hike with a dog who has been sprayed by a skunk may not be the most enjoyable and it may not make you a favorite on the trail. And of the different critters they could encounter, smelling like a skunk may be the least of your worries. Be aware of yourself and your dog and give yourself the ability to have control of their safety and wellbeing. 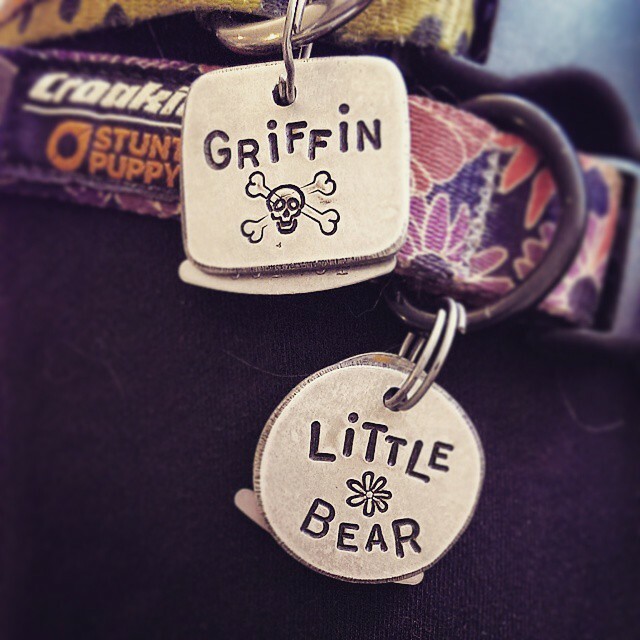 I’ve know people personally who have had dogs injured or killed in situations such as these. Along with the awesome cold weather jackets we received from Hurtta, we also received a couple of different visibility vests, one for cooler weather and one for warmer weather. 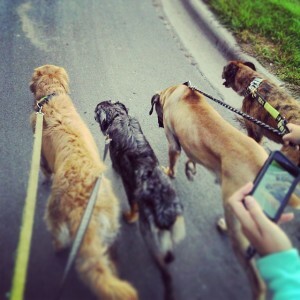 Though my dogs will often have packs on, for those times when they don’t I want them to be visible. If they did happen to get off leash I think it is important they be easily spotted. It also makes them more visible to other hikers. We’ll test their effectiveness in getting a hitch into town as well, could be a new trend. Little Bear sporting a new Hurtta visibility vest! Roll Over :: Tricks win the hearts of onlookers. Truth. There are many others, but these are a few basic ones that come to mind right away. Though there isn’t any way to really prepare for the enormity of a thru hike other than diving in head first, I will say that having a dog that is comfortable in the woods, used to hiking and camping and braving the elements, and used to the sights and sounds of the woods is incredibly important. 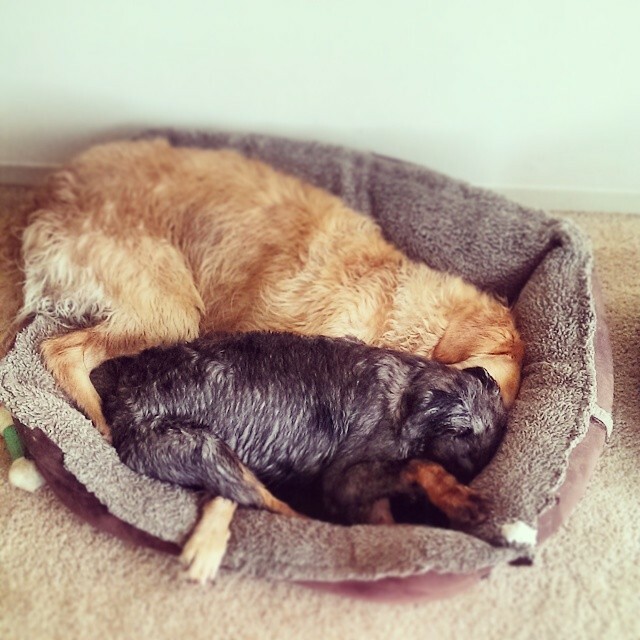 We spend a lot of time hiking and camping and being outdoors, so the dogs are acclimated to the routine and not forced into something completely unknown. Along with this, take the time to get your dogs comfortable carrying a pack if they will be carrying one regularly! My dogs have had no problem with this, but for some it can be a slower adjustment process so give them the time they need. This may mean carrying an empty pack for awhile and slowly adding weight. The recommendation is to never load a dog’s pack with more than 20% of their body weight and I will intend to keep mine closer to the 10-15% range, especially early on, as they adapt to a longer distance trip. Just as this trip will be hard on my mind and body it will also be for them and they won’t be able to tell me exactly how they’re feeling. Most importantly in this regard is to KNOW YOUR DOG. The more time you spend with them, especially in the activity you’ll be doing, the easier it will be to notice if something is not quite right. Maybe they’re just tired, maybe they’re sore, maybe hungry or thirsty, maybe they need a rest day, or maybe it’s a sign of a more serious injury or illness. Pay attention to their signs. Adventuring with our dogs can be so amazing, but we want to always be sure it is a positive experience for them as well. Always having fun above all else! 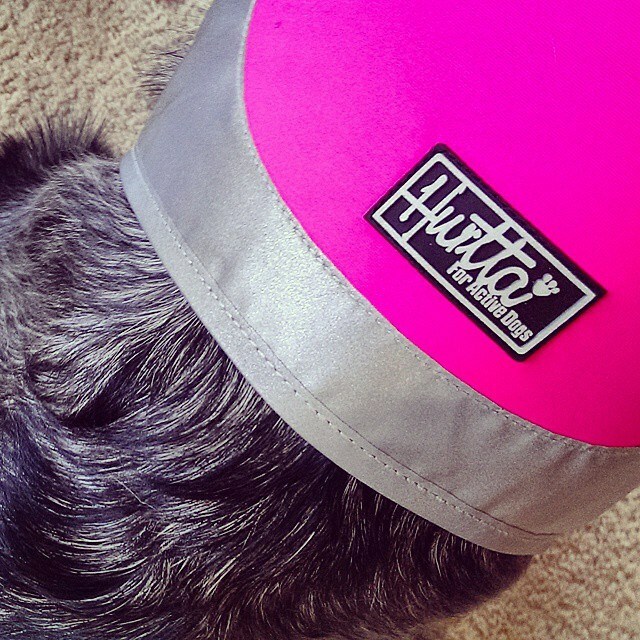 Outdoorwear for dogs – I can’t say enough about the amazing support I’ve been offered from Hurtta and their products are phenomenal. 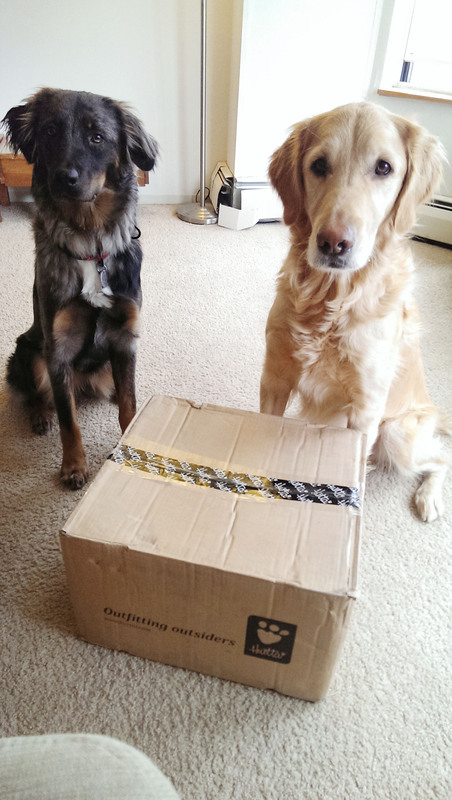 Dogs love getting packages too! Checking out their new Hurtta gear! 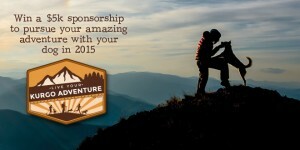 Kurgo makes some great all around gear for your pups and you may want to take some time to check out their current sponsorship application. It’s amazing. 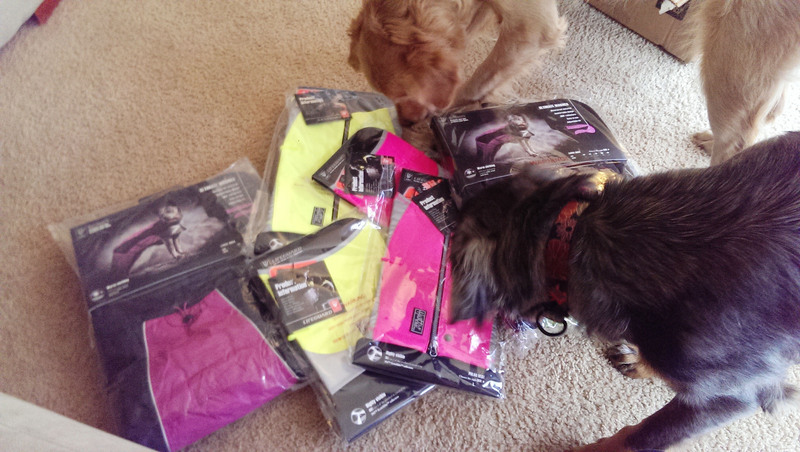 A leading outdoor gear company for dogs – Awesome stuff! Offering advice, care, transport, recipes & maildrops – You guys absolutely make this possible! This is the best — have fun with your pups! Fantastic blog! I look forward to reading more about your adventure and maybe seeing you on the AT when you arrive in Vermont. Have an awesome time! Yeahhhhhh!!!! So excited for your trail updates! Great post! Have fun out there!